Hey there..what about some movement. I love how nature always shows us best. 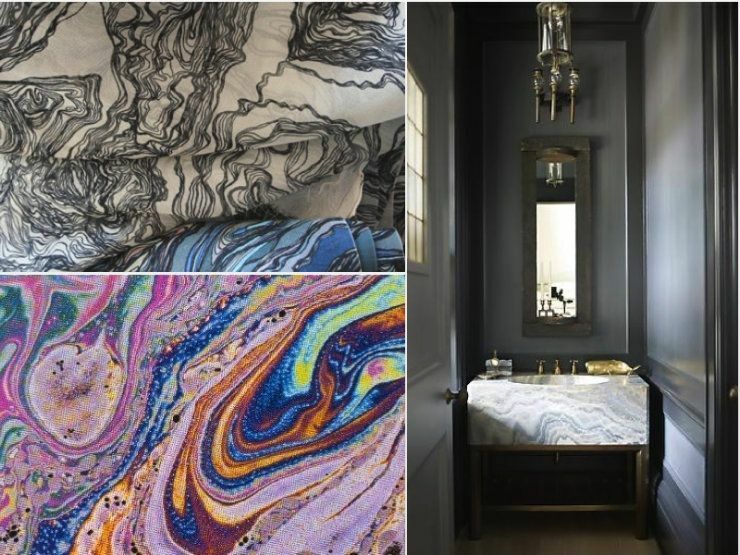 The above fabric is pretty cool.. as is that bathroom design by Steve. 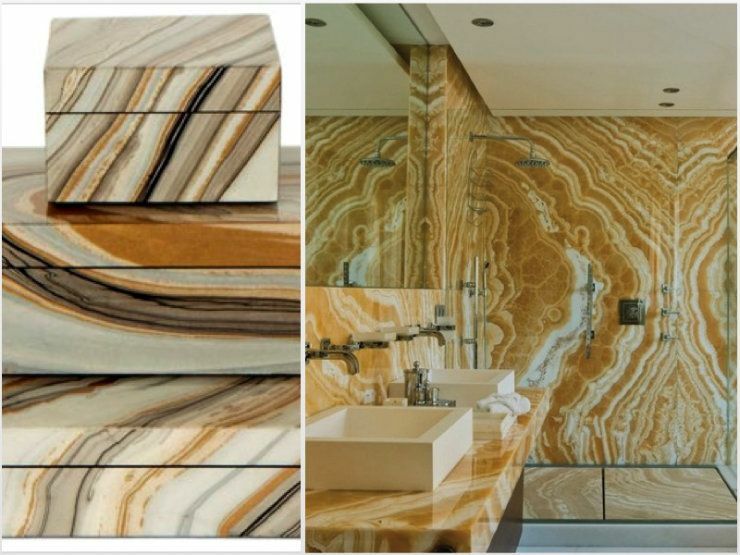 Also like the agate boxes but wouldn't but them on top of the counter in that bathroom. I think that I used to think that natural stones were busy and not beautiful- but I have learned to love them. Great photos and inspiration from this post!